Google’s AlphaGo defeated Go champion Lee Sedol. Ken Jennings explains what that feels like. Millions just watched a computer program beat Lee Sedol at the game he dominates. Welcome to the club. Lee Sedol, right, plays Go against Google’s AlphaGo as Google DeepMind’s lead programmer Aja Huang, left, looks on in Seoul, South Korea, on Wednesday. On Saturday, the machines won again. At a luxury hotel in downtown Seoul, South Korea, a program developed by Google defeated Korean grandmaster Lee Sedol at the ancient Chinese board game of Go. It was Lee’s third consecutive defeat, guaranteeing victory for the AlphaGo software in the five-game, million-dollar match. Lee won a moral victory the following day when he forced AlphaGo to resign in Game 4, but it was too little, too late. On Tuesday, AlphaGo completed Lee’s humiliation, winning the final game. The nightmarish robot dystopias of science-fiction movies just got one benchmark closer. It’s been almost exactly 20 years since the prototype for this kind of media circus was created, when world chess champion Garry Kasparov beat IBM’s Deep Blue in Philadelphia in February 1996. (Kasparov would lose the rematch the following year.) 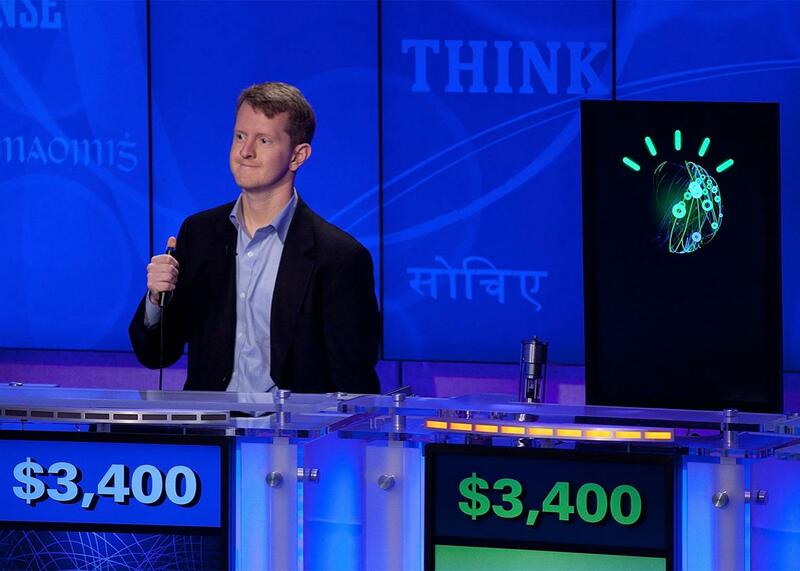 IBM recaptured some of that marketing magic in 2011 when it built a question-answering computer called Watson and taught it to play Jeopardy! for exhibition matches against me and my fellow carbon-based Jeopardy! champ Brad Rutter. We lost badly. To my surprise, losing to an evil quiz show–playing computer turned out to be a canny career move. Everyone wanted to know What It All Meant, and Watson was a terrible interview, so suddenly I was the one writing think pieces and giving TED Talks. Brad and I can both be found in standard college cognitive-science textbooks now, standing behind blue lecterns looking annoyed. Last year, Watson and I even reunited for a TV commercial. (He was professional as always, but you could cut the on-set tension with a knife.) Like Kasparov before me, I now make a reasonable living as a professional human loser. Have rueful sense of own inevitable obsolescence, will travel. Ken Jennings competes against Watson at a press conference on Jan. 13, 2011, in Yorktown Heights, New York. So on behalf of Garry and Brad, I’d like to welcome Lee Sedol to our tiny fraternity. Go may not be a major pastime in the United States and Europe, but it’s a big deal in China, where more than 60 million people watched the first game of the AlphaGo match. Lee’s celebrity and place in the history books are now assured, thanks to something that happened to him during what was almost certainly one of the worst weeks of his life. Because losing to a digital competitor on an international stage, whatever else you can say for it, is no fun. 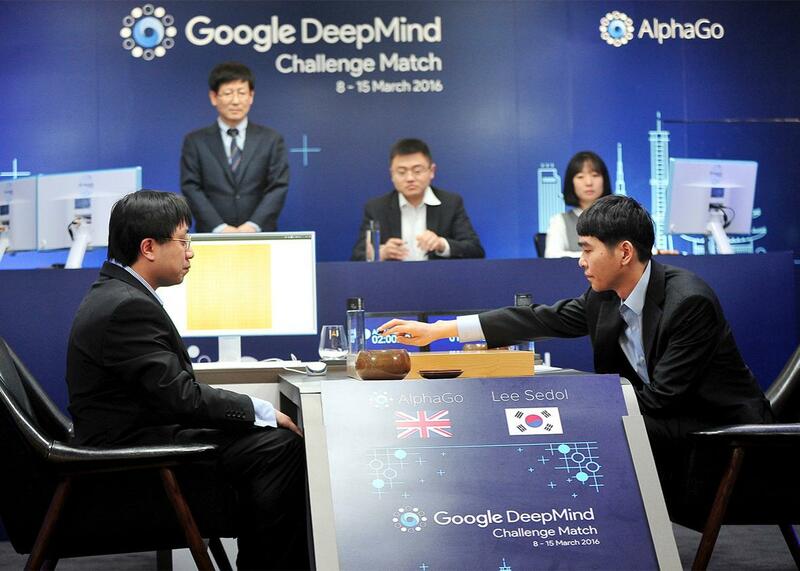 Korean commentator Kim Sung-ryong called the Lee-AlphaGo contest “a Go match with human emotional elements carved out,” a description that jibes with my own memories of the Watson games. There’s a disorienting, airless vibe to facing an artificial challenger. You feel unexpectedly alone in the spotlight, but at the same time you’re hyperaware of the millions of tech dollars and labs full of anonymous nerds arrayed against you. Your new opponent, unlike everyone you’ve ever played in the past, can never become overconfident or intimidated. There’s no way to play it psychologically at all, because it has no psychology. And in a very real way, your opponent isn’t just a room full of servers or a few thousand lines of code. It’s the Future, the possibility that your own individual talent, the thing that’s made you special your whole life, can now be replaced by a sufficiently clever algorithm. Go is famously a more complex game than chess, with its larger board, longer games, and many more pieces. Google’s DeepMind artificial intelligence team likes to say that there are more possible Go boards than atoms in the known universe, but that vastly understates the computational problem. There are about 10170 board positions in Go, and only 1080 atoms in the universe. That means that if there were as many parallel universes as there are atoms in our universe (! ), then the total number of atoms in all those universes combined would be close to the possibilities on a single Go board. Lee knows this full well. Just like I had back in 2011, he assumed that human-level computer play in his game was still a decade or more away. In fact, he confidently predicted a 5–0 win against AlphaGo. His postgame reaction was even more telling than Kasparov’s (angry pouting and hints that IBM had cheated) or mine (a doleful smile and a stolen Simpsons joke). After the first two games, Lee described himself as “very surprised,” and then “in shock” and “quite speechless.” After the third game, it seemed as if he was figuring out why. “I kind of felt powerless,” he admitted. I first read Player Piano in high school, almost 40 years after it was written, and its warnings of a computer takeover seemed as charmingly retrofuturistic as Walt Disney’s Tomorrowland. Our Apple II at home could barely run a decent word processor, let alone replace vast swaths of the American workforce. But that’s no longer true in 2016, with driverless cars on the horizon, software replacing translators and paralegals, and robots mining our ore, unloading our ships, and filling our prescriptions. For the first time in my lifetime, Player Piano feels oddly prescient. I assume that Lee, like Kasparov and me before him, will eventually make it through the five stages of automation obsolescence and accept his pioneering role in the early history of “thinking” machines. But what about all those newly replaceable souls who come after us, in a seismic shift that seems about to reshape our entire economy? For now, it’s just a handful of chess and Go and Jeopardy! champions who no longer feel needed and useful. But what happens to society when it’s tens of millions of us?